colliding with the rear of another vehicle. collisions where at least one vehicle is turning right. running off the road and hitting an object, such as a tree, a pole or a parked vehicle. Most of these crashes occur in daylight in fine weather and on dry roads. They are also more common in built up areas in 60km/hour speed zones. where their vehicle leaves the road on straight sections or curves and collides with roadside objects such as trees or fences. 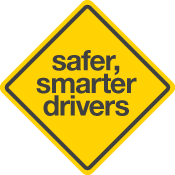 Provisional drivers are also more likely to be the driver responsible for the crash. Why are high numbers of provisional licence holders involved in crashes? The high number of provisional licence holders involved in crashes seems to be partly due to inexperience because driving is a new skill. When we are new at anything (eg playing tennis or netball) we tend to make mistakes and not be as skilful as those with lots of experience. choosing gaps that are too small when making turns, crossing intersections or overtaking. It is important to know what driving situations are most dangerous for you. You can then identify the skills you need to practise so you can handle these situations safely. Research shows that one of the most important of these skills is good hazard perception.